Good morning friends! Thank you so much for your sleeping suggestions yesterday and just for commiserating with me on this issue! Even though we don’t have it ‘figured out’ yet, just knowing y’all have been there helps tremendously. I just added my latest Amazon try-on to my Instagram Stories Highlights so check that out if you want to see how the items look in person and for more details. What’s your favorite after seeing them live?! The button front dress, the tie-dye maxi or maybe the sassy red one-piece swimsuit?! And don’t forget we have a giveaway happening over on Instagram! I’m giving away one of my favorite things OR $100 Gift Card to Target, a Kendra Scott Earring Ladder, and the Get Fit Done Guide! All you have to do to enter is follow me on Instagram and LIKE all of my April posts! #easypeasy! I’ll pick three winners! 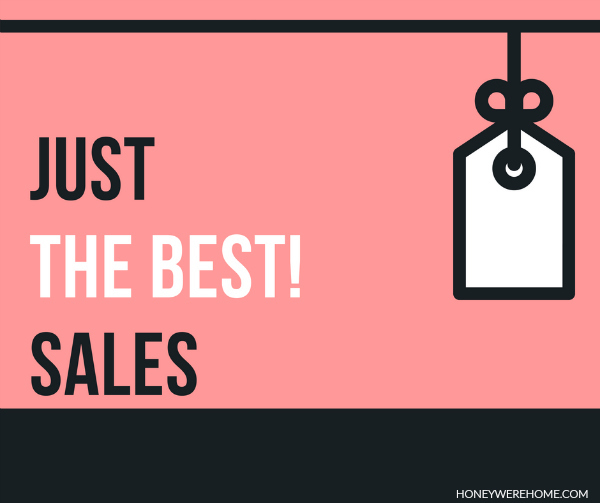 Now for a short and sweet JUST THE BEST SALES post! Every week I scour the Internet to find the best deals on the cutest styles and here’s what I found this week! The Nordstrom Spring Sale is going strong! Save 50% in every department on your favorite brands! This button front cami is just $20 (usually $35) and will be great when it’s hot out! This $60 pleated, striped sleeveless dress looks super flattering. I’m seeing a lot of tulip sleeves lately and you can save 58% on this black top! Save $32 on this sleeveless maxi – perfect for those outdoor Spring activities. This blue polka-dot shirt dress is on sale just in time for Easter. If you love jumpsuits (like me!) you need this tie-front one while it’s under $40! This relaxed v-neck has added detail and is 40% off. These adorable Easter shoes for toddler girls are 50% off. Cute scalloped skirt with pockets is $36, normally $70. It’s not seasonally appropriate – but no matter what the temperature I love a 50% off cozy cowl neck! If you love a BOGO sale – get these knotted bow slide sandals for $23 and these braided ones for just $10! Faux florals are on sale if you need to liven up your decor! These look especially good! Just (the best) Sales & $250 NORDSTROM GIVEAWAY!